Dr. Marilyn Marek Schroer received her baccalaureate degree from Graceland University with a major in Elementary Education and a minor in Music. Her graduate degrees are both from Texas A&M University. Her M.S. is in Educational Psychology, with an emphasis in Gifted and Talented Children, and her Ph.D. is in Educational Psychology with concentrations in Gifted and Talented Children and in School Psychology. Dr. Schroer’s doctoral internship was at Scottish Rite Hospital in Dallas, working with gifted children who were diagnosed with learning and attention disorders. Her dissertation focused on analyzing gifted children’s intelligence test scores to determine whether profiles could be used in diagnosing learning problems. Dr. Schroer joined the faculty at Newberry College as a part-time instructor in 1992 and as a full-time professor in 1999. 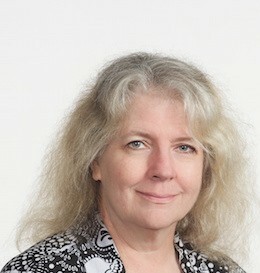 Prior to coming to Newberry, she was on the faculty at the University of Texas at Arlington where she taught undergraduate and graduate courses in child development, gifted children, and research methods. Dr. Schroer has had several articles on gifted and talented children published in academic journals.